Nashville, TN -- Rural Rhythm Records is proud to announce that Marty Raybon has won 4 Christian Gospel Music (CGM) Fan Awards including “Favorite Song” for “I’ve Seen What He Can Do”, “Favorite Male Vocalist”, “Favorite Musician” and “Favorite Crossover Artist” at the 4th annual CGM Fan Awards show presented by Christian Voice Magazine. The Awards were announced during the 2013 CGM Fan Award show at the Smoky Mountain Convention Center in Pigeon Forge, TN on April 27th. Nashville, TN -- Rural Rhythm Records is very proud to announce Marty Raybon leads with the most nominations in the CGM Fan Awards appearing in seven categories including: Favorite Solist, Favorite Male Vocalist, Favorite Crossover Artist, Favorite Musician, Favorite Song (I’ve Seen What He Can Do), Favorite Album (Hand to the Plow), and Living Legend. Mark Carman, producer of Hand to the Plow, also received a CGM Fan Award Nomination for Favorite Producer. Marty picked up yet another album nod receiving a SGM Fan Award nomination for Favorite Album for Hand to the Plow. It would be fair to say that Marty Raybon has left his mark in the world. 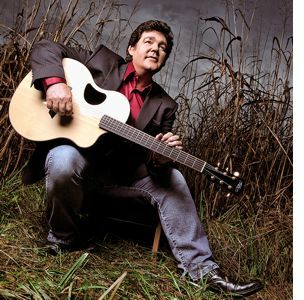 Among other country artists, he is considered to have one of the purest natural voices in the business. After three decades as a performer, he's had number one hits, top selling albums, and tons of awards. Now he's back on the charts with new music on Rural Rhythm Records. In the span of two weeks, he released not one, but two new projects, so Kelly Lynn headed into the studio to hear all about that new music. Learn all about 'Hand To The Plow' and 'Southern Roots and Branches' in the video below. 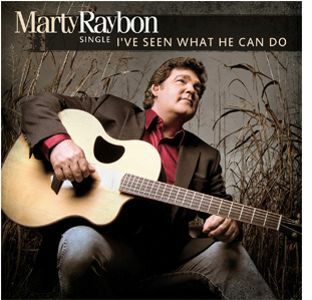 Nashville, TN (March 22, 2012) -- The new single, "I've Seen What He Can Do" by Grammy® award winning artist, Marty Raybon has entered the Top 40 on the New Music Weekly Country Chart (3/23/12). This beautiful new song also reached the #1 spot on the Christian Music Weekly Top Singles Chart (3/7/12) and debuts at #8 on the Cashbox Magazine Top Christian Country Singles chart. 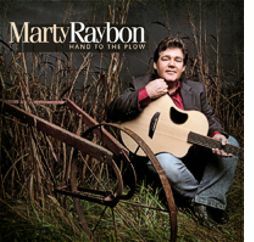 Nashville, TN -- Grammy® award winning artist, Marty Raybon celebrates the New Year with a brand new single release, "I've Seen What He Can Do" from his highly anticipated new Country Christian album, Hand To The Plow set for release March 27, 2012 on Rural Rhythm Christian. This beautiful new song is now available for digital purchase via iTunes, Amazon and other major sites and available to radio stations via AirplayDirect.com. Rural Rhythm Christian is very proud to announce the new music video for the powerful new song "I've Seen What He Can Do" by Marty Raybon (see below). 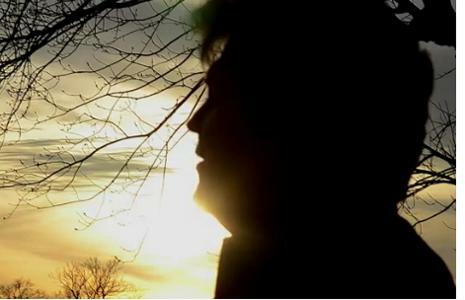 The song is scheduled to hit radio on Tuesday, January 9, 2012 as the first single release from Marty's upcoming album Hand to the Plow releasing next year.